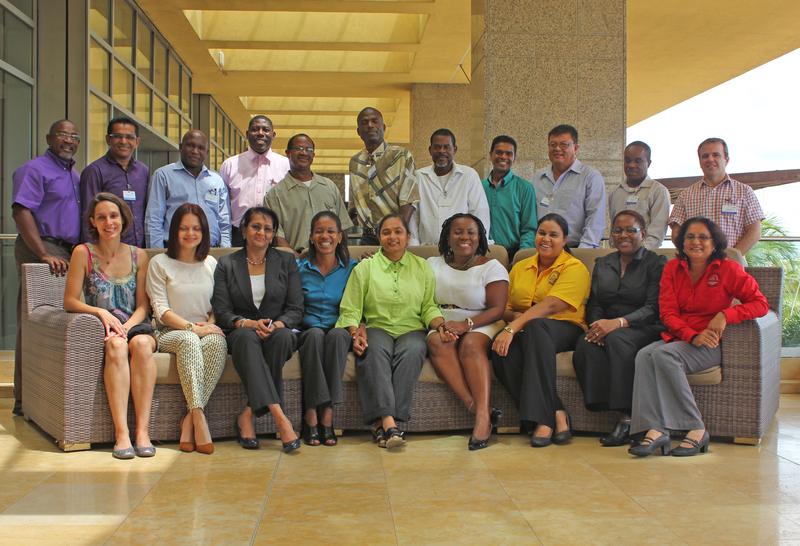 The 2015 IPPC Regional Workshop for the Caribbean Region was held on 29 September – 1 October, in Port of Spain, Trinidad and Tobago. 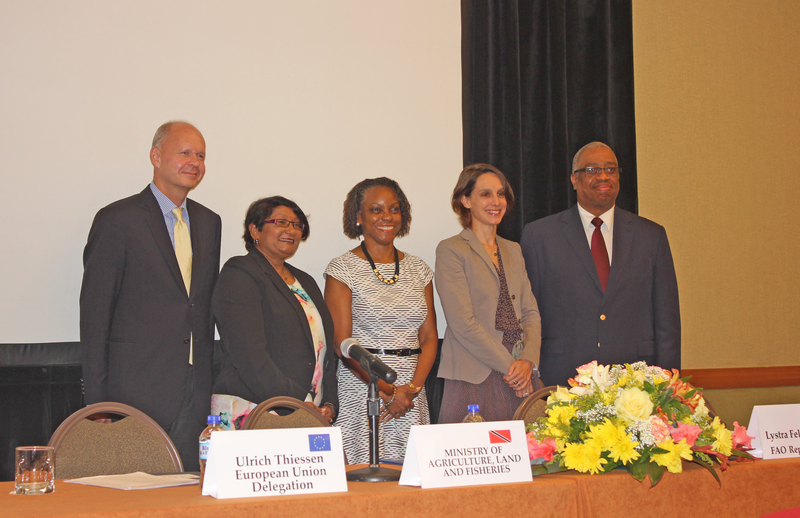 The workshop was organized by the Inter-American Institute for Cooperation on Agriculture (IICA) and the IPPC Secretariat, hosted by the Government of Trinidad and Tobago, and funded by the 10th European Development Fund (EDF) Sanitary and Phytosanitary (SPS) Project from the European Union (EU). Sixteen participants from 12 contracting parties, representatives from IICA and the IPPC Secretariat, and a member of the Standards Committee attended the workshop. Mr. Michael James (Barbados) chaired the meeting, with the support of the IICA representative, Ms. Carol Thomas, and the IPPC Secretariat representative, Ms. Céline Germain. Ms. Janil Gore-Francis (Antigua and Barbuda) was elected as rapporteur for the meeting. The workshop was opened by Mr. Gregg C. E. Rawlins, IICA Representative in Trinidad and Tobago, and further opening remarks were made by Ms. Lystra Fletcher-Paul, FAO Representative for Trinidad and Tobago and Suriname, Mr. Ulrich Thiessen, International Cooperation Programme Manager of the Delegation of the EU to Trinidad and Tobago, Ms. Ms. Deanne Ramroop, Ministry of Agriculture, Land and Fisheries of Trinidad and Tobago, and the IPPC Secretariat representative who conveyed a message from the IPPC Secretary, Mr. Jingyuan Xia. The objectives of the workshop were: (1) to learn how to analyse draft International Standards for Phytosanitary Measures (ISPMs) and to formulate productive comments using the examples of draft ISPMs for member consultation in 2015; (2) to build phytosanitary capacity, raise awareness on all activities related to the IPPC including ISPM 15 symbol registration, submission of formal objections to standards, WTO Trade Facilitation Agreement, International Year of Plant Health and e-Phyto; and (3) to exchange experiences at the regional level on surveillance, emerging pests and other issues of joint interest. The participants highly appreciated the results of the activities of the workshop and shared a significant amount of information in terms of joint positions on draft standards, updated information on national surveillance programs and fulfilment of national reporting obligations. The training activities developed were key, not only to support the development of capacities at national level, but also to support the adoption of informed decisions in the next meeting of the Commission on Phytosanitary Measures in 2016. The report of the workshop is available on the IPPC website.